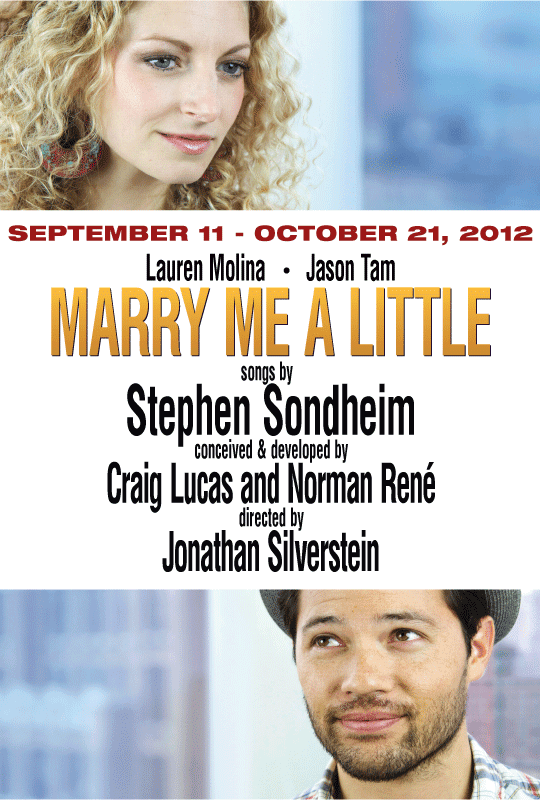 I saw the first preview of the Keen Company's revival of Marry Me a Little at the Clurman in Theatre Row. Lauren Molina and Jason Tam star. It's an veritable mash up of Stephen Sondheim shows, including cut and trunk songs by Sondheim, about two single people finding each other. While it's sweet, there's no sap. Natch, it's Sondheim. But it is clever, delightful and thrilling, mostly thanks to the sparkling performance of Ms. Molina. Before it even officially opens on October 2nd, they've already got an extension until October 27th. It's much deserved and I hope we'll hear there's an additional extension. I'll see it at least one more time, at which I'll post more about it, but suffice to say, I adored this production from the first moment the house lights went down. Discounted tickets are available via Broadwaybox.com.